Scooper - Technology News: The end of products, the end of ownership. Is this the future of business? The end of products, the end of ownership. Is this the future of business? A wind of change is blowing through the factories and design centers of the world. Stronger customer expectations, forged in the age of Twitter, Facebook and Uber, have changed the game beyond all recognition. Accustomed to fast, digitized services, consumers today demand 24/7 support and expect their voices to be heard. To them, “usage” of a convenient, reliable, customer-focused service is more important than “ownership” of a product. This consumer shift is impacting the way things are bought and sold in business-to-business (B2B) markets as well. In this new world, manufacturers have identified the opportunity to provide services rather than products, a concept referred to as “servitization”. They know they can no longer compete on price alone and must find ways to provide added value for their customers. To better understand what’s driving this shift in consumer behavior, three global trends must be considered: changing customer expectations, technology and environmental concerns. Millennials, born between 1980 and 2000, are believed to prefer easy, accessible, fast and flexible services over owning something. Why bother owning a car when you can use an app to get a ride wherever you want to go? Millennials are used to being consulted in the co-design of products and services, and they expect their feedback to be included in future iterations. They won’t tolerate an inferior product when they can easily find a better alternative. As a result, companies must make customer-centricity their new mantra. We see how important this is at DLL and regularly send our “back office” staff out with our sales teams to meet customers. Understanding the customers’ needs completely transforms the way they design and deliver services. Secondly, technology continues to change the world around us, bringing with it opportunities as well as challenges. A few decades ago, it was the birth of the internet and the smart phone. Today, it’s the arrival of billions of sophisticated sensors embedded in products known as the Internet of Things (IoT). No longer will suppliers lose contact with a product once it’s been shipped. Now, sensors will provide 24/7 feedback on the product’s usage. This is a remarkable new stage in industrial development. In a service model, suppliers will be able to monitor a product in real-time, enabling them to optimize equipment for their customers, lower usage costs and fix problems before they occur. If producers can ramp up their capabilities in this way, the rewards will be significant. McKinsey predicts that service levels driven by IoT might unlock $5 trillion in specific B2B settings alone in the next decade. At DLL, we firmly believe that the younger generation will drive innovation in IoT for decades to come. This is one of the reasons we are supporting a new global Start-up Bootcamp , which will encourage and help rising talent in IoT to reach their full potential. The third trend relates to Corporate Social Responsibility. Many millennials expect businesses to have a higher purpose than profits alone, and they are especially concerned about the environment. 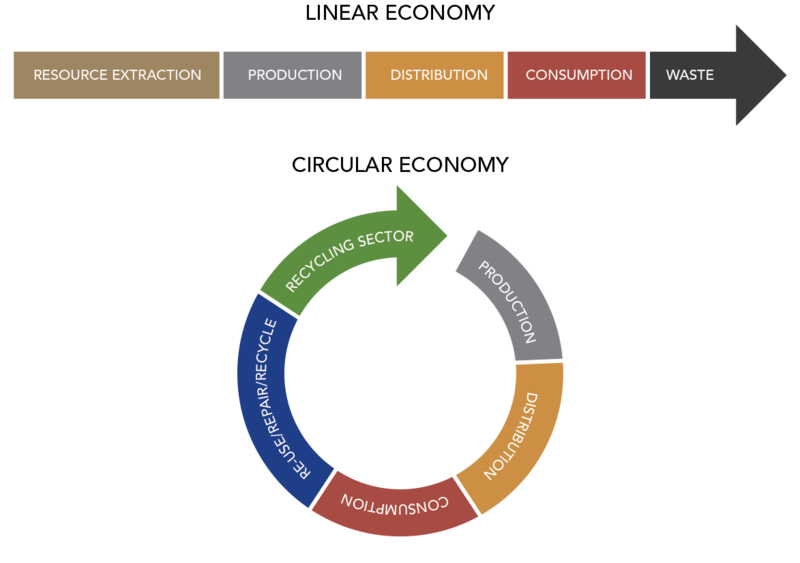 In a recent Deloitte survey , 87% of respondents agreed that “the success of a business should be measured in terms of more than just its financial performance.” This generation is supportive of the goals of the circular economy, which call for a major shift from the linear “take, make and waste” model to one where goods are designed to be taken back and recycled, refurbished or reused. The convergence of these trends makes the argument for usage-based business models even more powerful. Servitization – facilitated by the IoT – makes it easier for manufacturers to establish circular, take-back and reuse systems. We are already accustomed to our cars alerting us when parts need to be serviced; and copier machines already notify dealers when the toner cartridge needs to be replaced. But now, the rules of the game will start to change and create new and interesting sale, resale and return opportunities. By selling the ‘use’ of an asset rather than the asset itself, manufacturers will remain responsible for the product and want to ensure that it does not wind up in a landfill following its first life cycle. The usage data obtained via sensors will further enable manufacturers to adequately prepare for the product’s second life. All of this has the potential to unlock new revenue streams and cost savings for manufacturers and distribution partners alike. In fact, both McKinsey and the Ellen MacArthur Foundation have projected that circular economy methods could unleash a trillion dollars a year in cost savings. As more and more companies embrace the potential of IoT, customer-centricity and circular thinking, I am hopeful that we will see the rise of a new era of sustainable economic growth across the globe, and I am excited about the potential role DLL can play in furthering this proposition. I encourage you to ask yourself whether your business is poised to meet these changing demands. I am convinced that together, we can create a brighter future for businesses, customers and our planet.